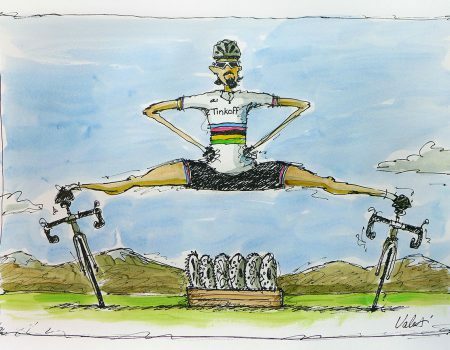 It’s obvious when you think about it, the country that hosts the world’s biggest cycle race is going to be a great place to ride a bicycle. 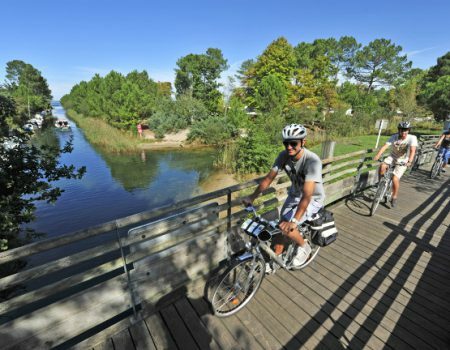 Bikes are welcome practically everywhere in France and there are thousands of kilometres of marked cycle routes throughout the country with new routes opening every year. Virtually every town and village has made provision for cyclists too. There are cycle lanes alongside many roads, dedicated cycle tracks into and around larger towns and bike parking facilities. Add to this the sincere welcome shown to motorhome tourists and you will soon see why basing your French cycling holiday in a motorhome is simply the icing on the cake (or “the butter on the spinach” as they say here in France!). 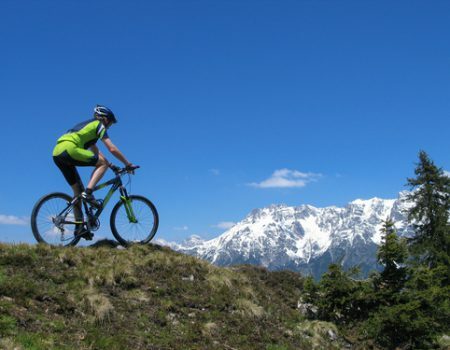 The informal and relaxed nature of motorhome accommodation and the ability to tour different regions makes campervan travel a great addition to a cycling trip. 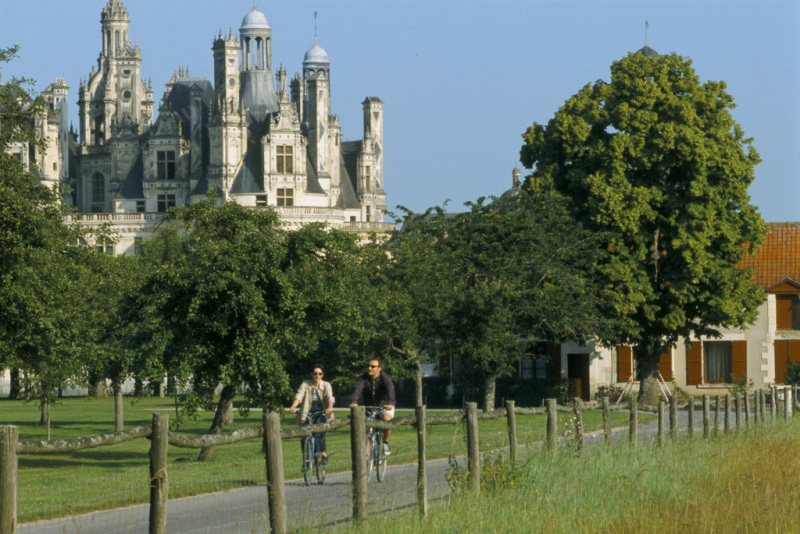 Whether you’re a cycling enthusiast who’s in search of some exhilarating long-distance riding or someone who likes the idea of an afternoon spent weaving through a couple of quaint towns, you really won’t be disappointed by France’s unspoilt country roads and sensational surroundings. 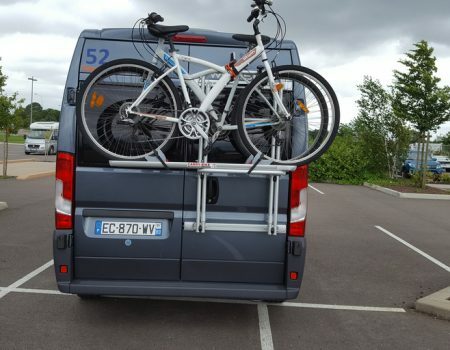 The France Motorhome Hire Team highly recommends taking bikes on your RV trip. 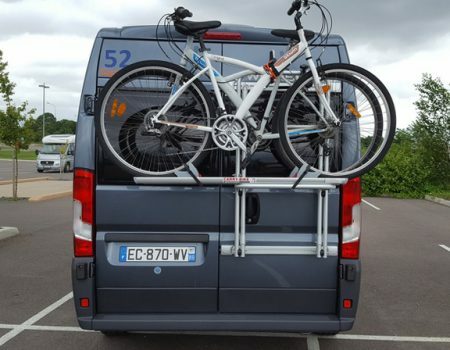 All France Motorhome Hire vehicles come fitted with a bike rack, included in the hire price. 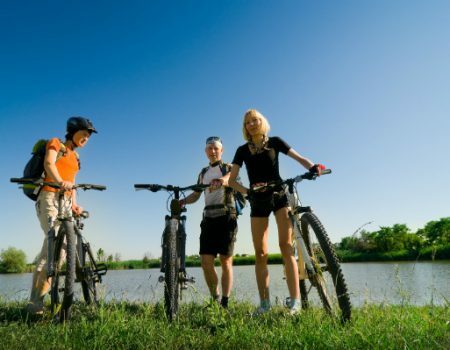 It is possible to travel safely by bicycle using marked cycle routes all the way from The English Channel to the Mediterranean and from the Atlantic coast to the German border. If you’d rather spend every day cycling than driving, the density of cycle routes allows you to literally base yourself in one area for weeks and still explore a different cycle route each day. 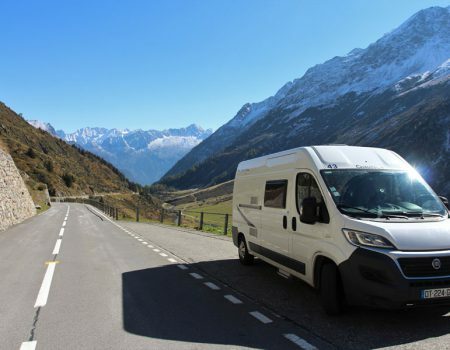 If you prefer to see a variety of regions, just use your motorhome to cover greater distances and cycle more parts of France or Europe. 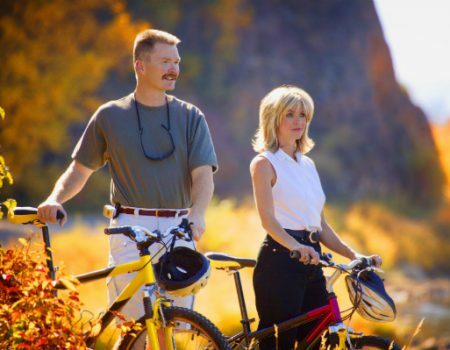 Electric bikes are great for increasing the distance you can travel on a bike and taking the strain out of covering hilly terrain. We don’t offer electric bikes to rent as they are too heavy to carry on our bike racks but electric bike hire depots are cropping up all over France so you can hire them for a day at time. They typically cost around €40 per day to hire and are most commonly found in popular tourist areas. The “Office de Tourisme” in any town should have list of places they can be hired locally. 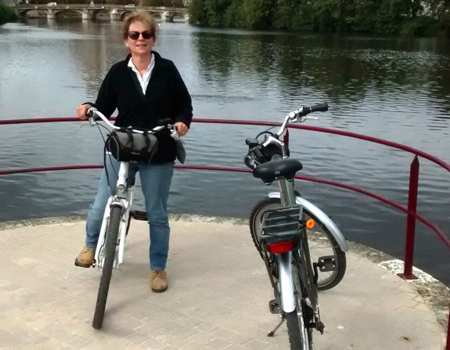 Read our blog about the day we tried out some electric bikes in the riverside city of Auxerre near our depot. 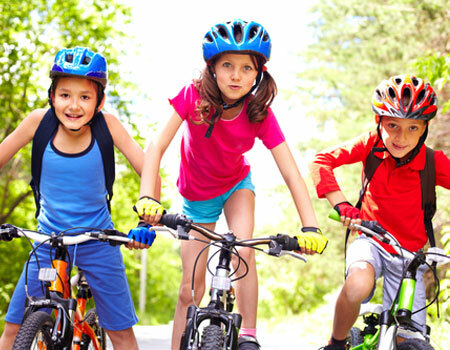 To offer children’s bikes for hire we would need to stock hundreds in order to have bikes suitable for children of all ages/size so we cannot offer them. However, our hire bikes might well be suitable for older/taller children and you can read more about the other options for getting your hands of some kids bikes. 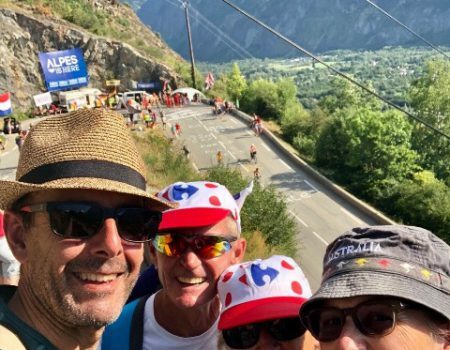 The FMH Team are all cycling nuts and we look forward to loading some bikes on to your campervan and sharing our passion for cycling in France soon! I need bikes for my children in France. Can you help? Why electric bikes to hire are cropping up all over France!